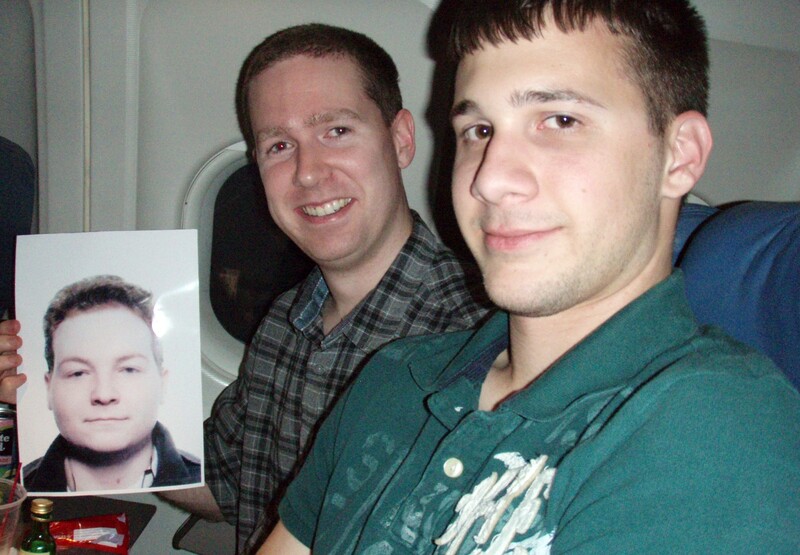 A few weeks after setting the plan in motion I was on a Delta flight from Amsterdam to LA, via Memphis where James met me and liberally handed out free drinks vouchers. Although having originally planned to meet me, grab something to eat, and then return home before coming to California the following week, he decided to board the aircraft with me and come to LA for a few days. Being a Delta employee evidently has its perks. Fortuitously, the person assigned to the seat next to me turned out to be the one guy who failed to show, so James and I settled down for an enjoyable flight. Given that I’d be driving in a few hours, I restricted myself to just the one whisky, but the time passed quickly nonetheless. Surprisingly quickly we made it through the terminal in LA and collected our rental car, an “HHR”. This was rather an upgrade from the compact which I had booked, and is the kind of car that drug dealers are generally seen to “pimp out”. 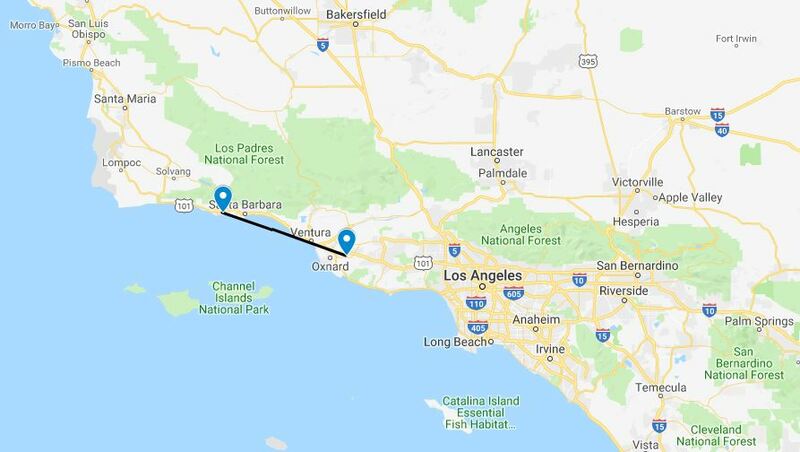 We headed for Camarillo, fighting off sleep on the drive up there, and checked into a couple of rooms at the Days Inn Camarillo, just 3 minutes drive from the airport and, more importantly, 5 minutes drive from IHOP (The International House of Pancakes. Like many American “International” institutions, I have only ever seen it in America). 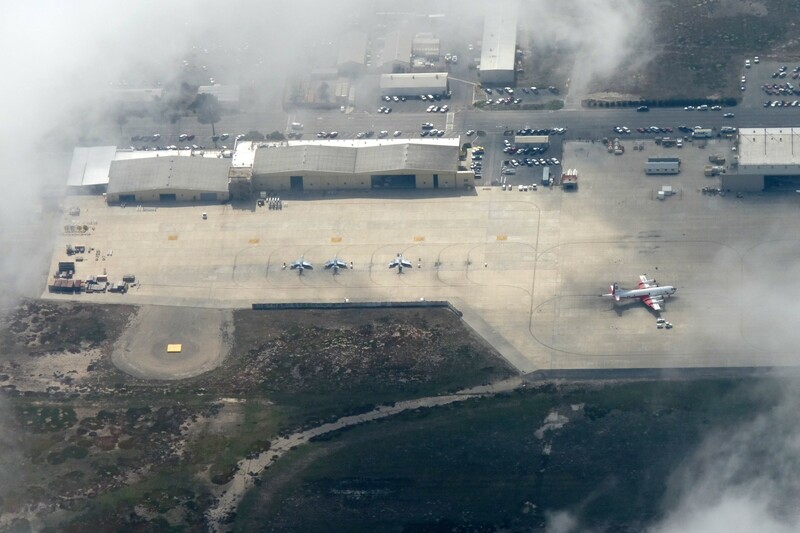 I was scheduled to arrive at Channel Islands Aviation for my checkout just after lunch, so we spent the morning eating pancakes and shopping for essentials. James bought some new sunglasses, having traveled to LA with his sunglasses case but not the all-important glasses that should have been found there-in. I treated myself to tent pegs, so that I could actually pitch my tent for camping. 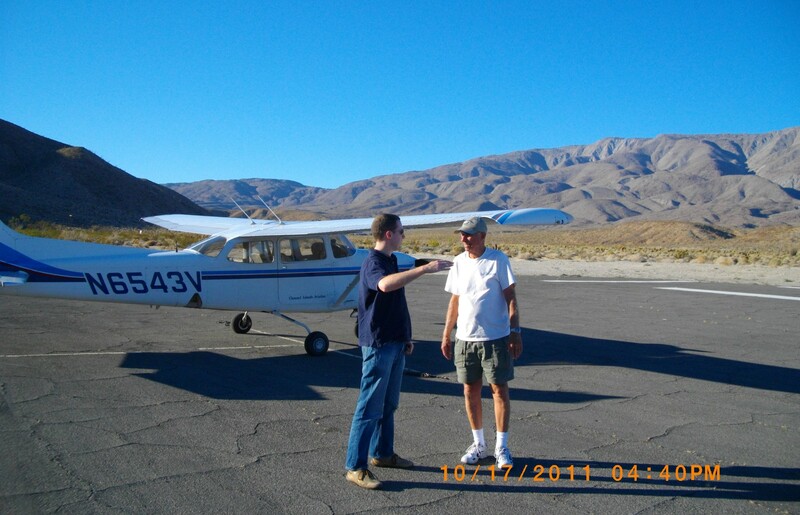 We returned to the motel to drop off our shopping, collect the flight gear, and make our way to the flight school where I checked in with Jason, my instructor for the next two days. The afternoon was spent in the simulator, a learning experience for both Jason and I given that it had only been installed at the school a few weeks before. 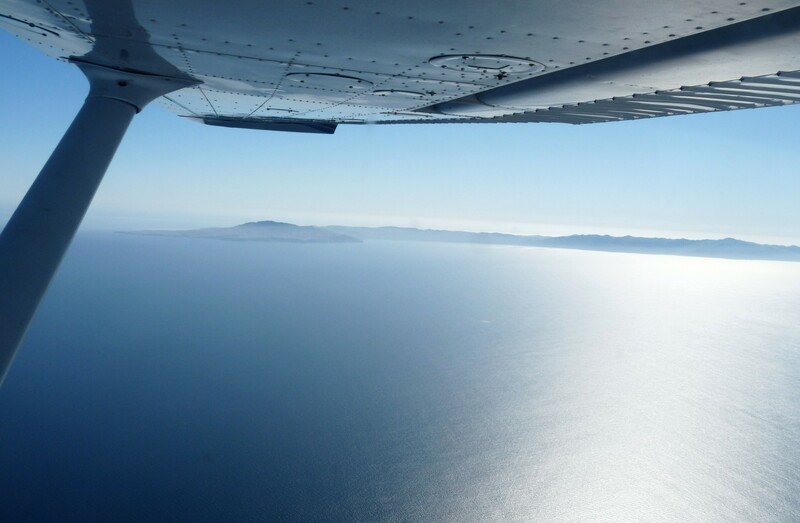 The advantage of a simulator is that you can re-position the aircraft exactly where you want it, meaning you can fly many more approaches and other maneuvers in a given time. 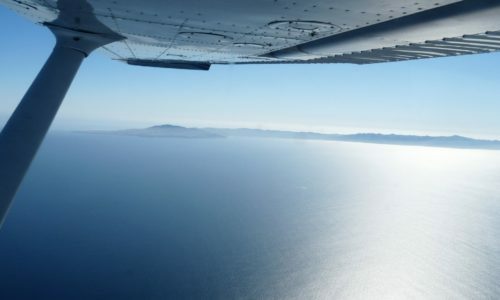 You can also give realistic instrument failures, although this would not be new to me after the loss of the artificial horizon in the Maule on the way to Egypt earlier in the year. After an enjoyable afternoon in the simulator, shooting a few approaches and also coming to grips with how exactly the darned thing worked, Jason announced progress to be satisfactory and we parted ways for the evening. After a couple of hours hanging out at the motel, James and I headed to a nearby mall to try an Indian restaurant that we’d noticed earlier in the day; James was well pleased with his first ever taste of Indian food. Before heading to CIA for a second day, we embraced some American culture and went to McDonalds for breakfast. I was dismayed to discover that a cheeseburger was not available at this time of the morning, so made do with ice-cream; my mother would have disapproved. 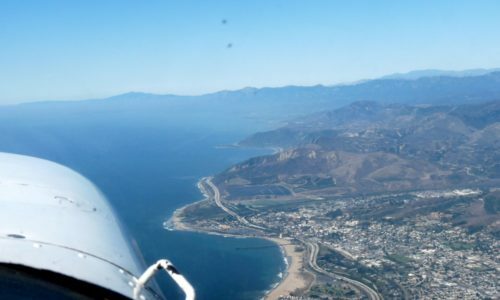 On this day of checkouts, the idea was to fly North a little to Santa Barbara for a nice lunch, practicing some approaches and the rest of the skills required to complete the “instrument proficiency check” (IPC) on the way. James would come along for the ride in the back seat. Beginning to pre-flight the aircraft, however, I noticed a subtle flaw in this plan; the back seat was missing, giving excellent space for luggage but rather limiting our capacity for carrying passengers. 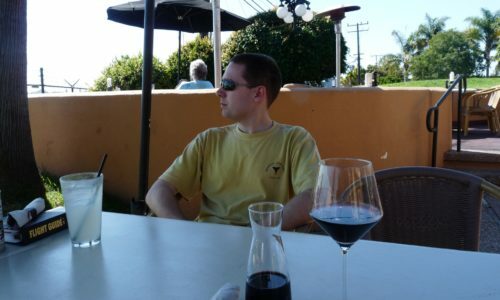 The plan was swiftly revised to a quick local IPC with Jason, followed by James and my flight to Santa Barbara for lunch. Jason was upset to miss out on a good meal, but took it well, and soon we were off. 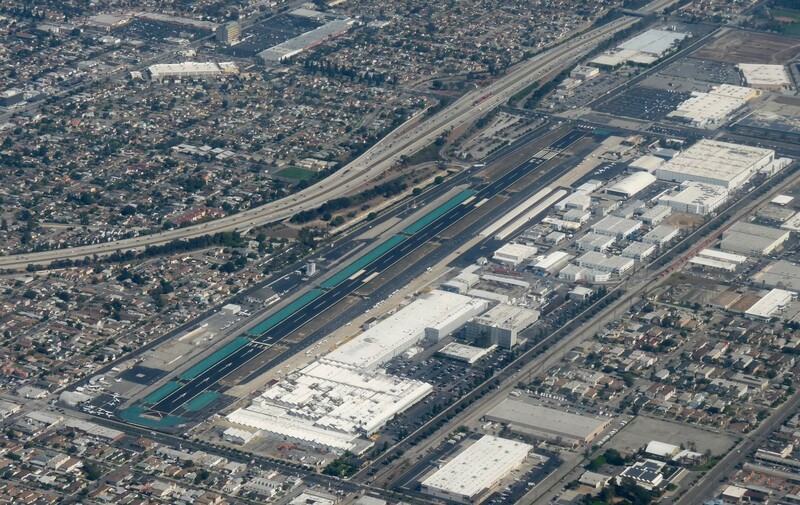 First exercise was an ILS approach into Oxnard. 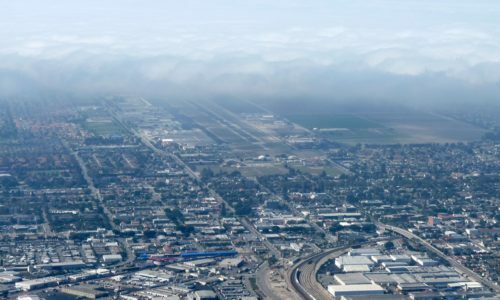 This is not a difficult one to set up as when you take off from the west-facing runway at Camarillo, you are effectively instantly lined up on a long final approach to the ILS at Oxnard. 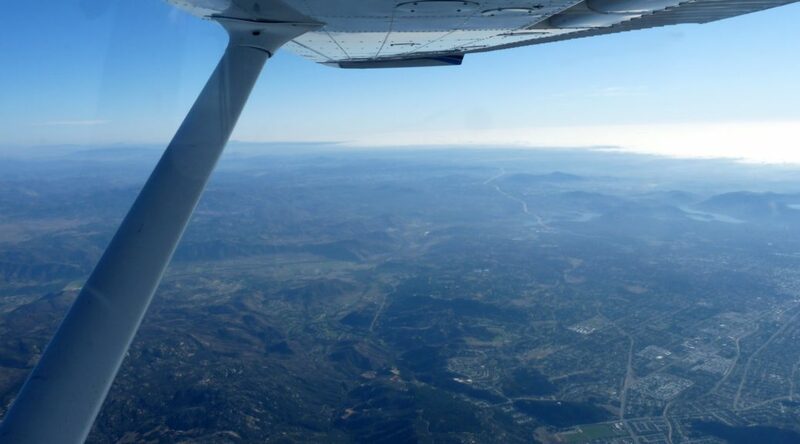 We practiced some holding patterns and unusual attitudes, using the view-limiting glasses to eliminate my view of the outside world, before flying a VOR and a GPS approach into Camarillo and landing. 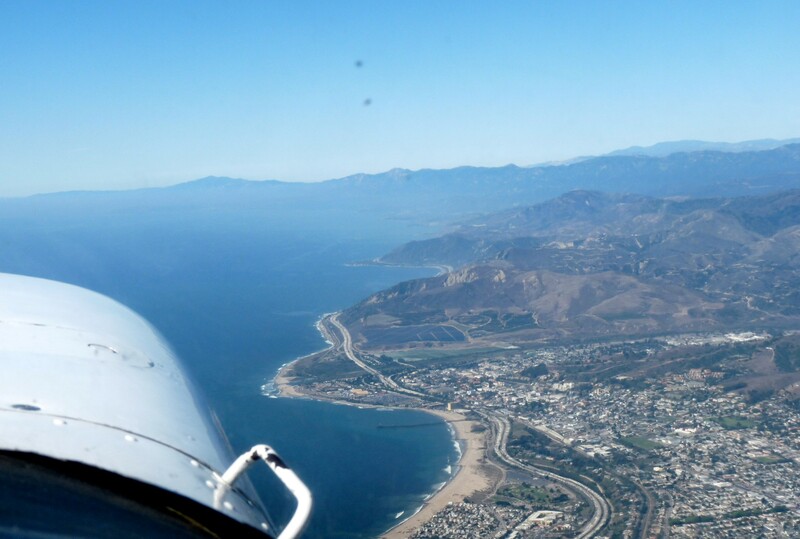 Jason signed off my logbook, and before long James and I were headed North on an IFR flight plan to Santa Barbara. 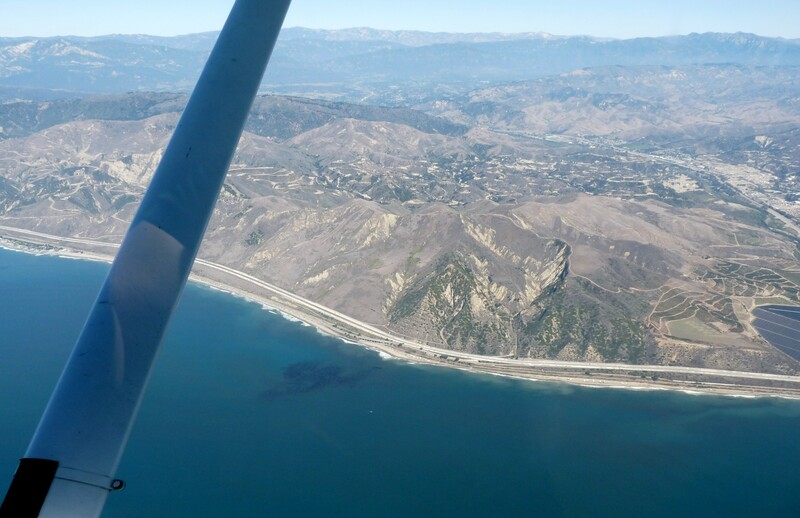 We passed over Oxnard, and then up the coast towards Santa Barbara, being vectored by Air Traffic Control for a GPS approach. 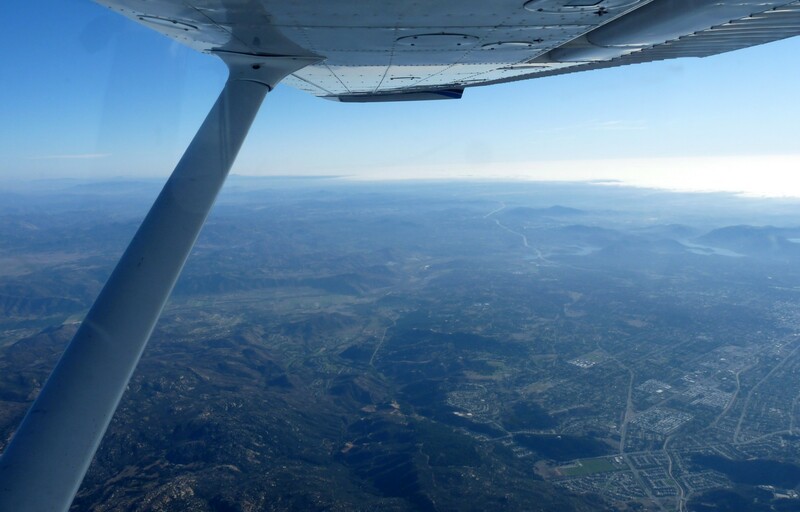 We were able to fly IFR up to Santa Barbara without needing to pre-file an IFR flight plan by using something called “Tower En-route Control” (TEC). This is a system whereby, if you are not leaving airspace controlled by “Approach” controllers (as opposed to “Center” controllers), you can be handed off from one to the other and never have to enter the main IFR system. 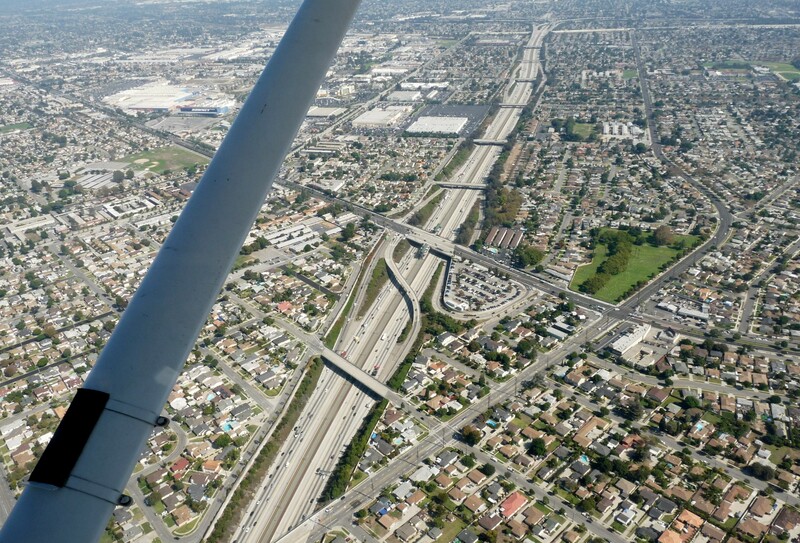 It is quick, easy, and convenient; just like most flying in the USA compared to elsewhere! 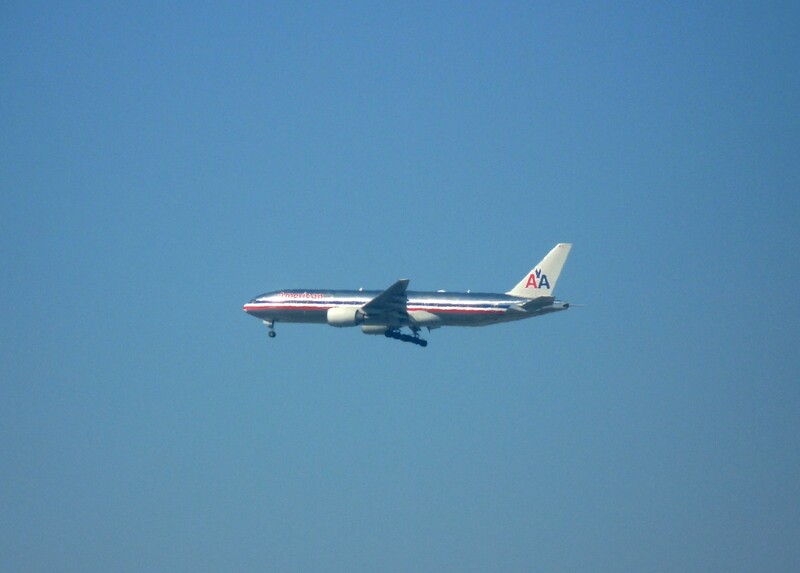 We landed uneventfully and taxied to the FBO ramp. 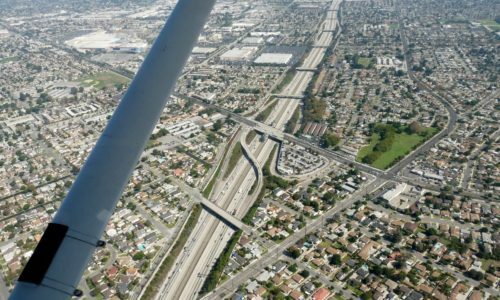 The ramp fee was waived for being a member of AOPA (Aircraft Owners and Pilots association), neatly paying for half of the membership fee in one go. 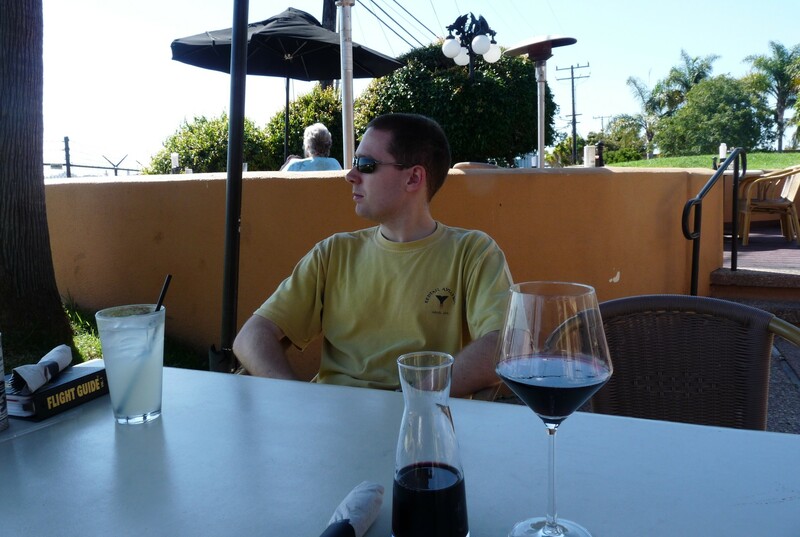 We made our way to the Elephant Bar Restaurant, just 30 seconds walk from the FBO, and highly recommended by the staff at Camarillo. The menu was challenging, in that I wanted to try almost everything on it and I briefly considered re-assessing my plans and simply flying here every day for lunch. 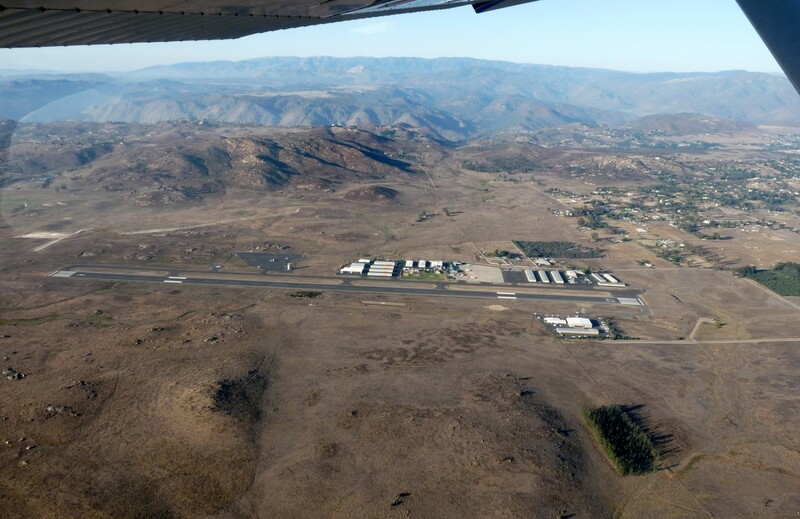 James waited patiently as I polished off the mandatory chocolate brownie desert and we made our way back to the aircraft for another TEC flight back to Camarillo. 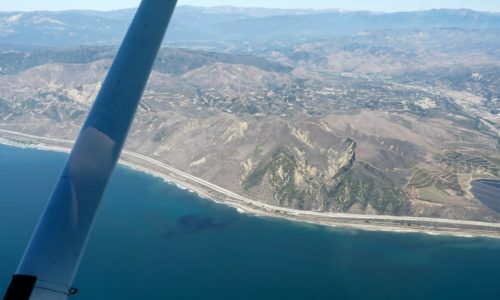 The marine fog layer was still sitting off the coastline North of Camarillo and made for some attractive photos as we were vectored in for the VOR approach and taxied back to CIA. 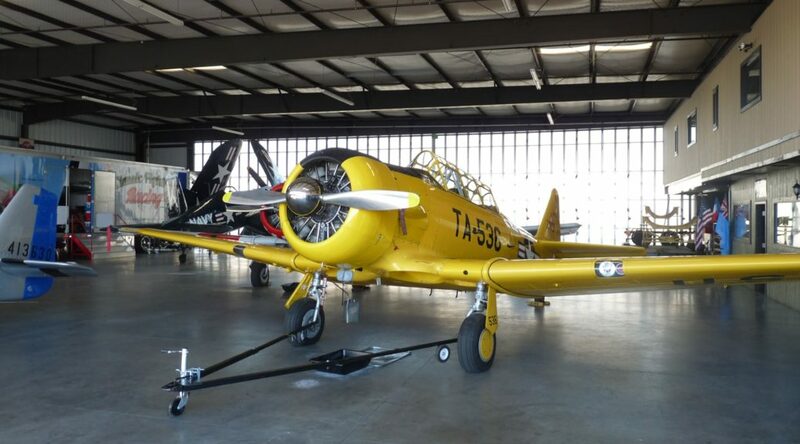 The maintenance crew took the aircraft off my hands to refit the rear seats, as I would be flying with several friends later in the trip, and would need the extra capacity. That evening we located a seafood restaurant just a few minutes from the motel. We were seated at the Oyster bar where the shucker was dismayed to discover that neither of us liked oysters. He put on a brave face though, and entertained us with stories about growing up in Camarillo as we ate and planned our actions for the next day. Somehow I had to take James to a Delta flight so he could get home for a few days work before flying back out to Reno and meeting me for some more flying. 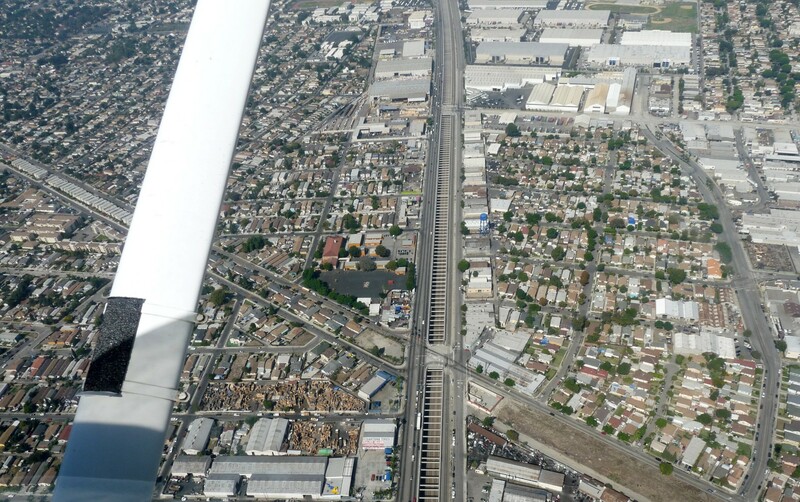 We set off mid-morning, and the first leg of the day was an IFR flight down into central LA and Hawthorne airport, just a stones’ throw from Los Angeles International. 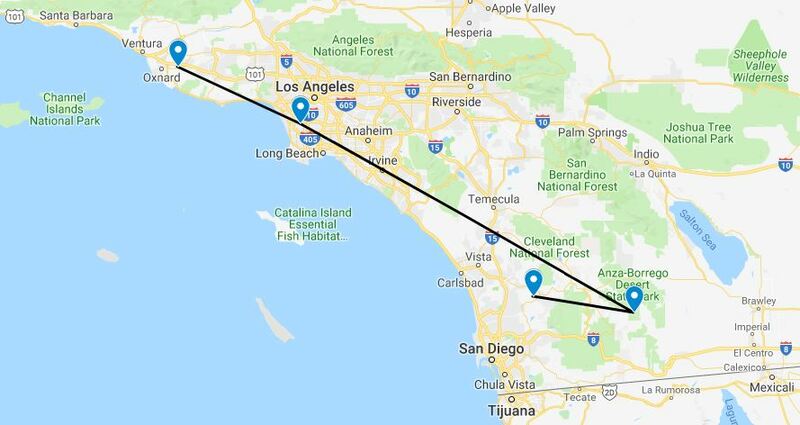 Our route took us South at 7000ft, overhead Los Angeles International where the marine fog layer was battling the sun to encroach onto the airport’s runways. 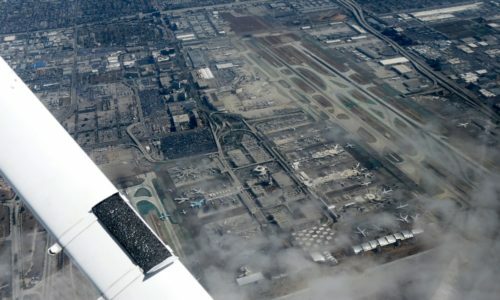 Due to heavy traffic into LAX it was not possible to fly the full localiser approach as I had wanted to, but we were vectored onto final approach and could at least fly the localiser as practice. 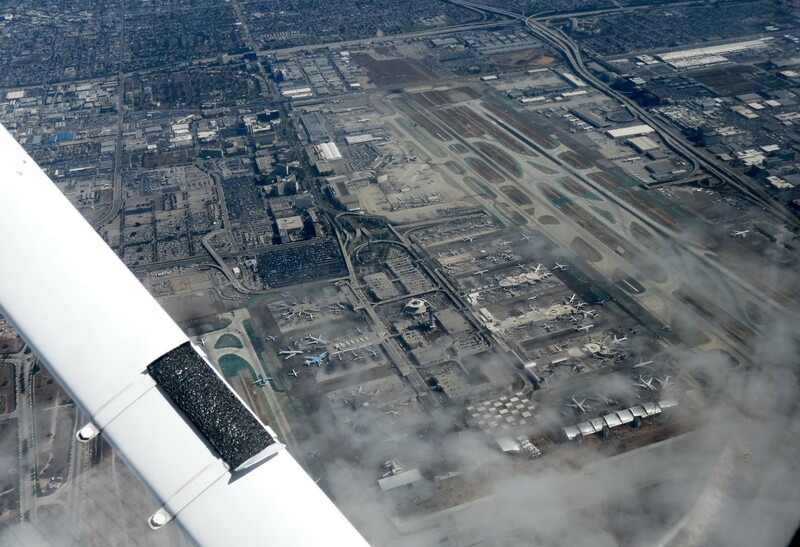 We parked up at the FBO and paid our ramp fee (sadly no AOPA discount this time), before spending a pleasant hour or so in the cafe watching the traffic into LAX. Soon it was time for James to board the free shuttle bus to LAX (FBO service in the USA really is very good), and I was on my way South once again. 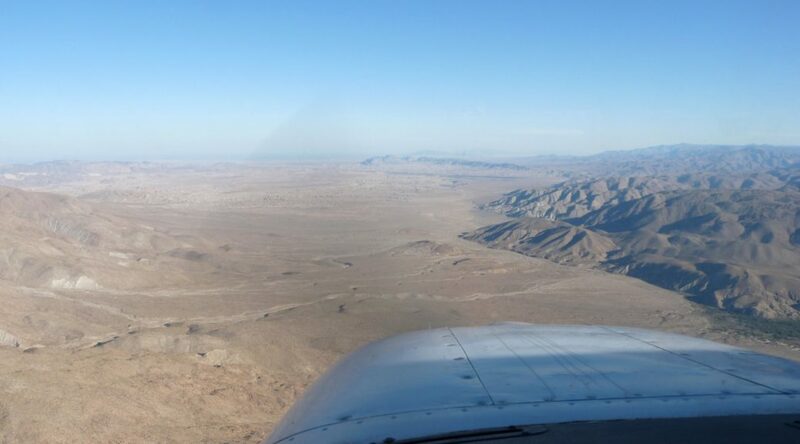 My destination was Agua Caliente, a small desert airstrip in the far South of California. 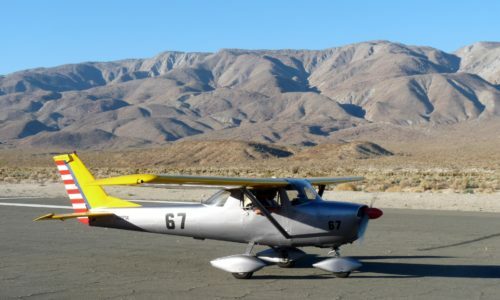 I had been attracted to it by some good reviews on US pilot sites, and especially the fact that there was camping at a state park within walking distance of the airstrip. 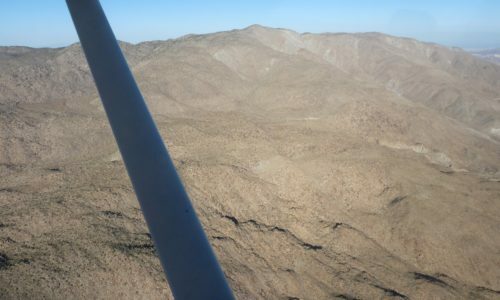 Leaving LA behind, I crossed the hills heading inland at 9000ft, and the change in the landscape was dramatic; from dense city to empty desert in what seemed like minutes. Agua Caliente was not easy to find; despite its position next to a road, there were very few other landmarks around, but the GPS was accurate and helped me locate it. 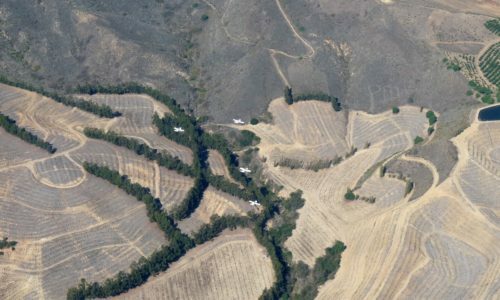 The airstrip is short by American standards (although still huge compared to most UK farm strips), and sloping slightly uphill towards a good size hill not far from the end of the runway; it’s best to land uphill towards this hill, and take off downhill away from it. 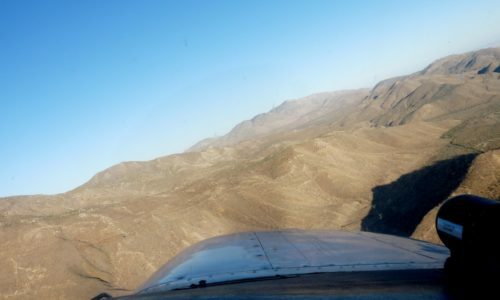 I made a low pass over the airstrip to check the condition, and the wind direction, as the site is unattended with no radio service. 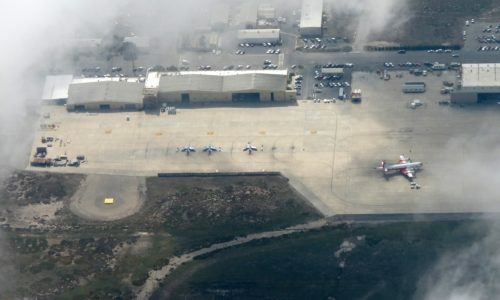 On the ground I could see another aircraft parked up on the ramp, with a couple of figures next to it watching me as I positioned for final approach, landed, and taxied in to park. 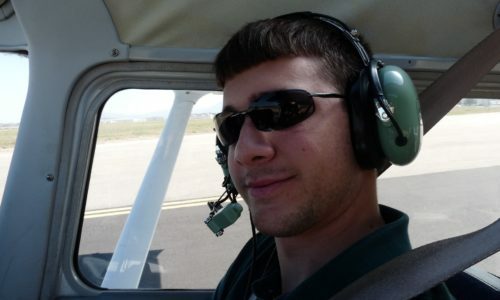 The other aircraft was a 2-seat Cessna 150, in beautiful condition. 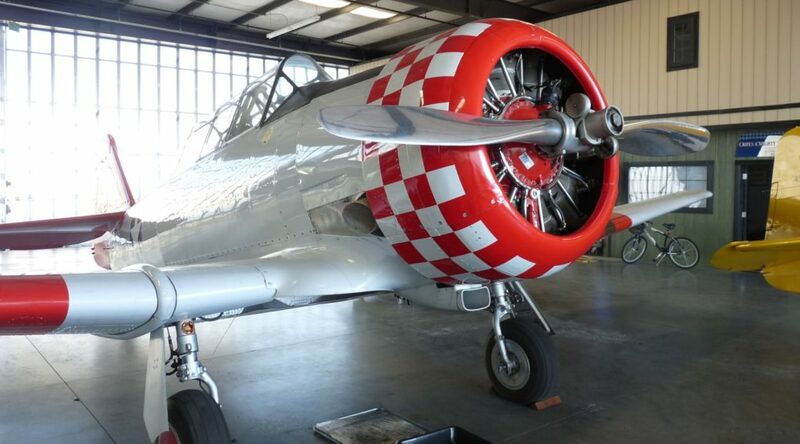 The pilots were an elderly American gentleman and his French friend; the Frenchman was busy studying for his pilots licence, and was out and about flying with his friend to gain experience. They were surprised to see me; in 20 years of visiting the strip, this was only the second time the pilot had seen another aircraft there! 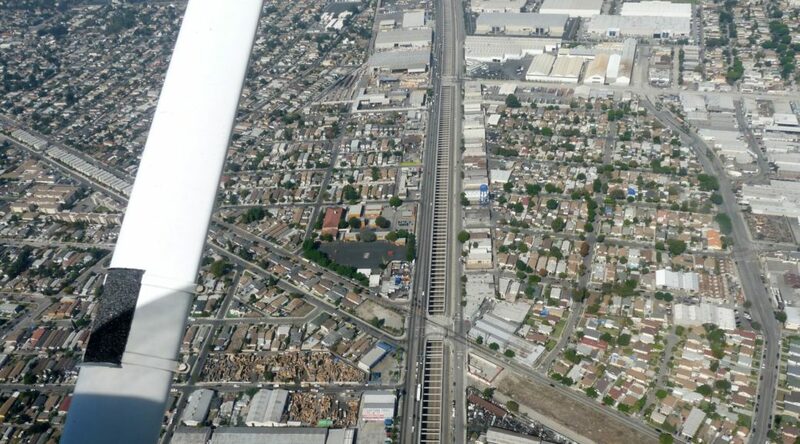 They had thought, when I made my low pass and then flew away again, that I must have been lost and just passing by. 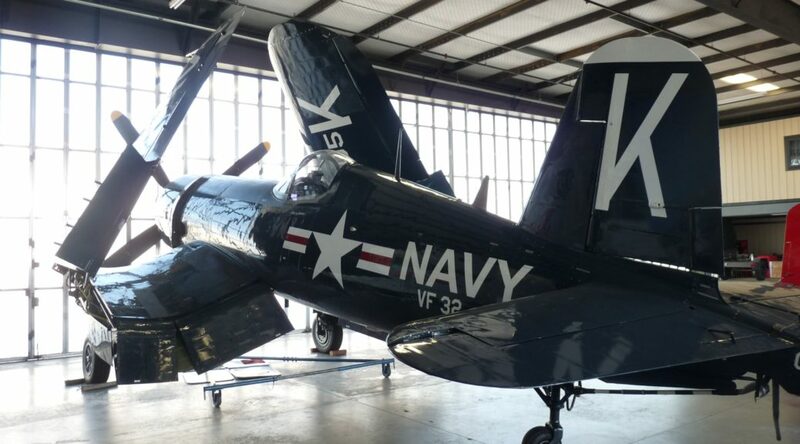 It turned out that the French gentleman, Gerard, was staying with his daughter on an airfield a little West of Agua Caliente called Ramona; she lived in a hangar where she kept four perfectly restored warbirds (including a P51 Mustang and a an F4U Corsair) which earned their living on the airshow circuit. How could I refuse such an offer? 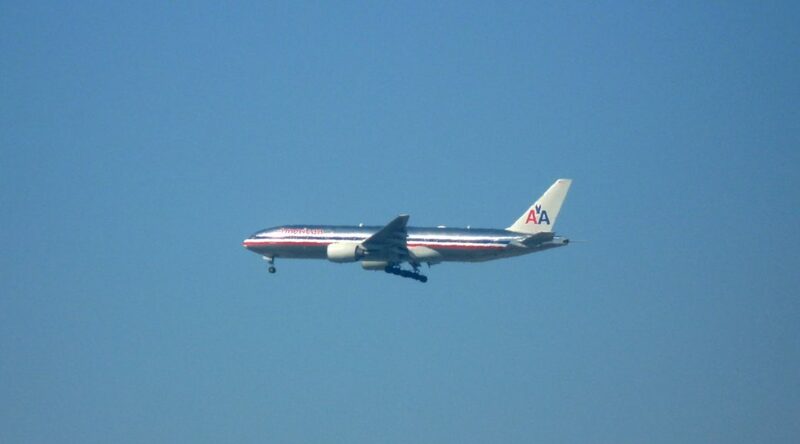 My two new friends departed first, due to the fact that their aircraft was considerably slower than mine. 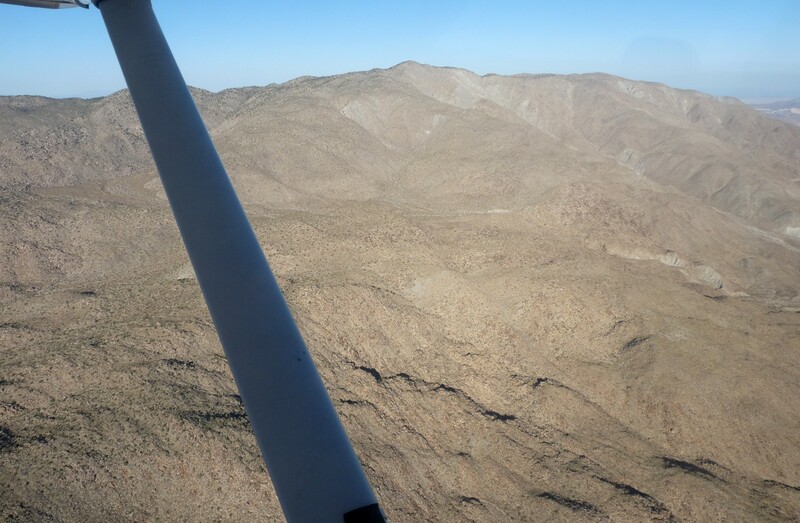 I followed a few minutes later and headed directly across the hills to Ramona, still arriving a good 10 minutes or so ahead of the Cessna 150. 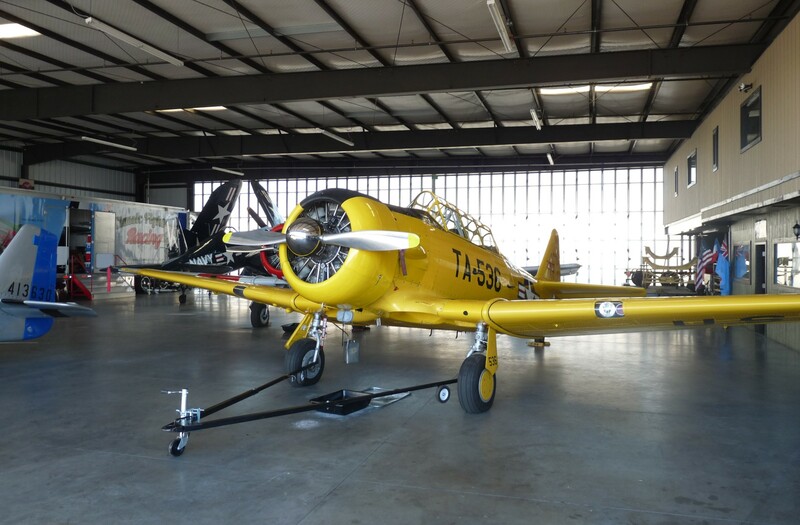 I parked the aircraft up outside the hangar and went inside to meet my host Julie. 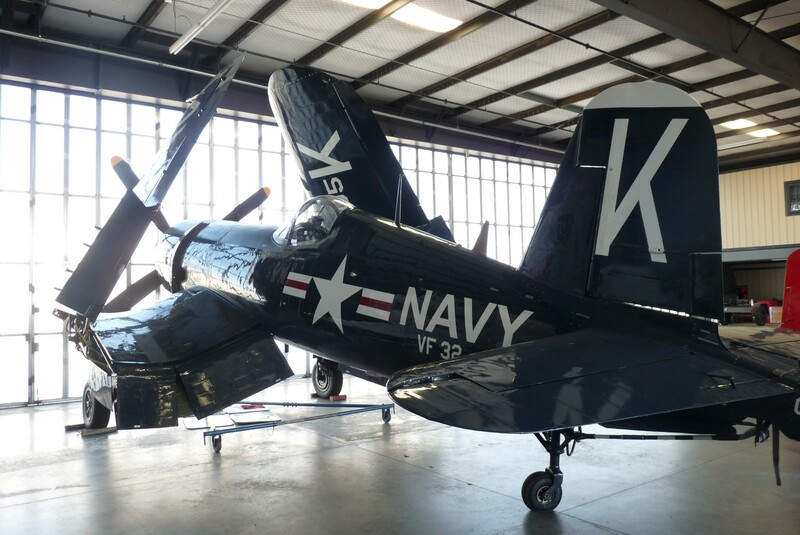 The hangar was astounding; four beautiful aircraft, a giant RV, and a Maserati; the airshow business apparently paid well. 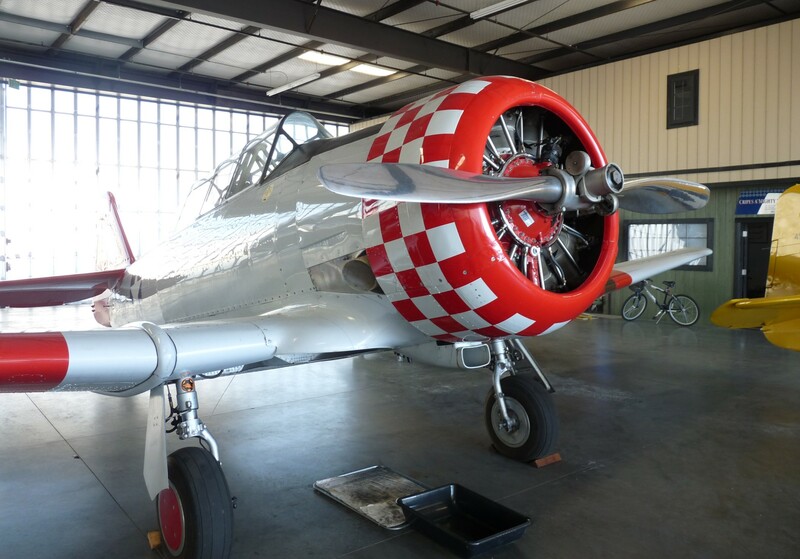 I was shown my room downstairs, warned to keep an eye out for rattlesnakes which occasionally slithered in to the hangar, and then Gerard and I made our way into town for dinner. 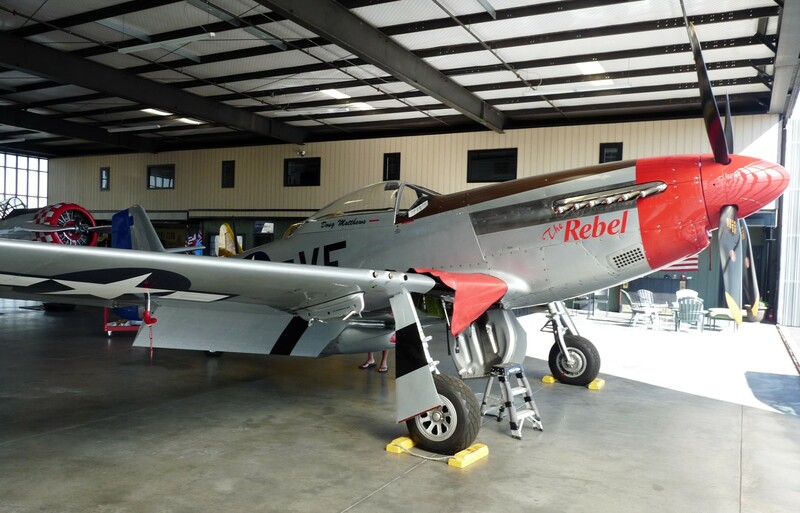 We took a chart with us of the local area, and planned a trip for the next morning so that I could introduce him to IFR flying; although he’d flown a P51 and various other exciting military aircraft he did not yet have any experience of the IFR system. The weather at Ramona the next morning was bright and clear, but as usual the coast was hidden under a low overcast. Our first destination of the day would be McClellan Palomar airport in San Diego, which had an ILS approach with minima of 200ft. 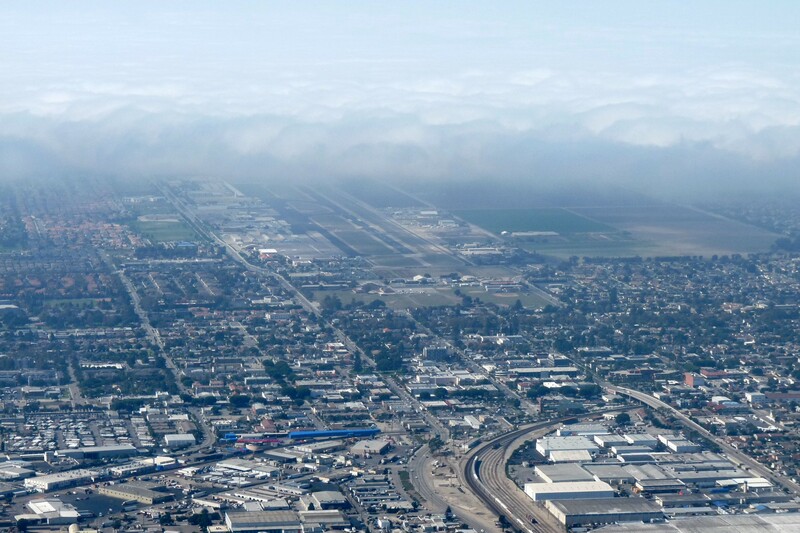 The reported cloud base at the airport was currently 400ft, so, it would be a great practice approach in real IFR conditions. We were vectored all over the place by air traffic control, at times being further away from our destination than when we had been on the ground at Ramona, but eventually we were vectored in to intercept the ILS. 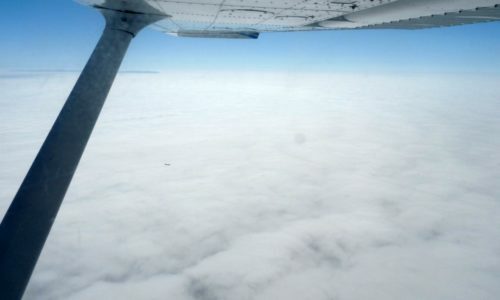 The overcast layer, as it turned out, ended right at the threshold to the runway so, while the airport was under cloud, the approach itself was clear; we landed VFR and took a table at the restaurant for lunch. A couple of pilots at the table next to us had come to the airport to practice some approaches in their Cessna 210, but had determined that the weather conditions were no good for it and were enjoying a meal instead; they were most surprised to meet a student pilot who had received some of their training in a P51! 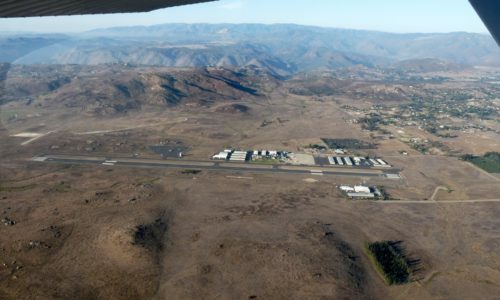 We departed McClellan Palomar and headed North past the Marine Corps base at Camp Pendleton towards the small airstrip at Fallbrook Community Airpark. I’d chosen this destination simply because it was close by, and offered a much smaller and more interesting runway than our brunch stop. 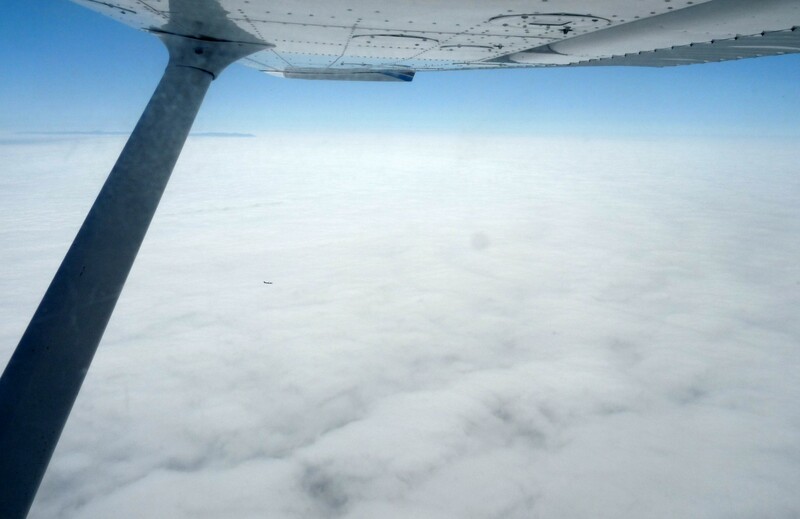 The traffic frequency was silent, and we completed our circuit and landing without spotting any other traffic. 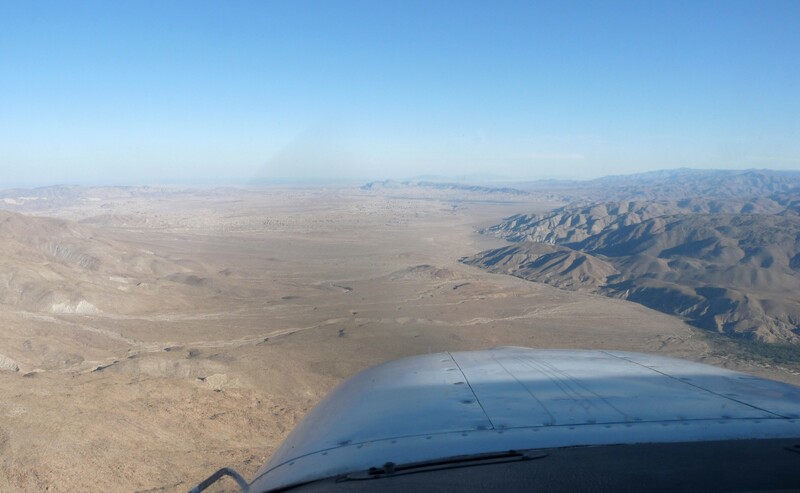 It was as quiet on the ground as it was in the air, so we stretched our legs briefly and set off VFR back towards Ramona. 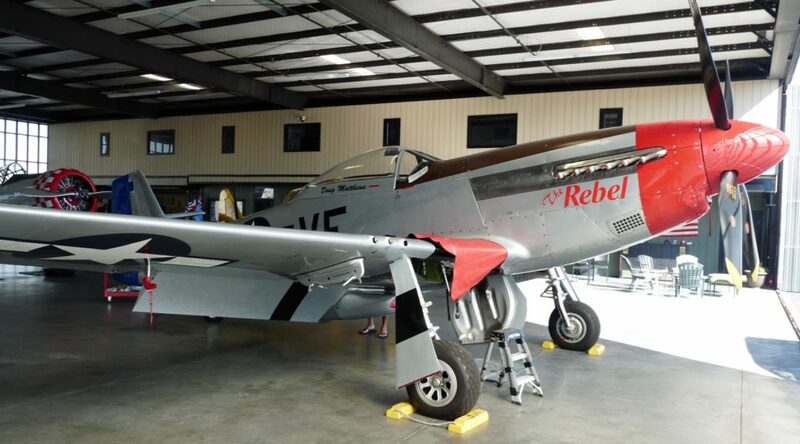 I parked outside the warbird hangar again, and spent the afternoon relaxing with soft drinks and catching up on emails. 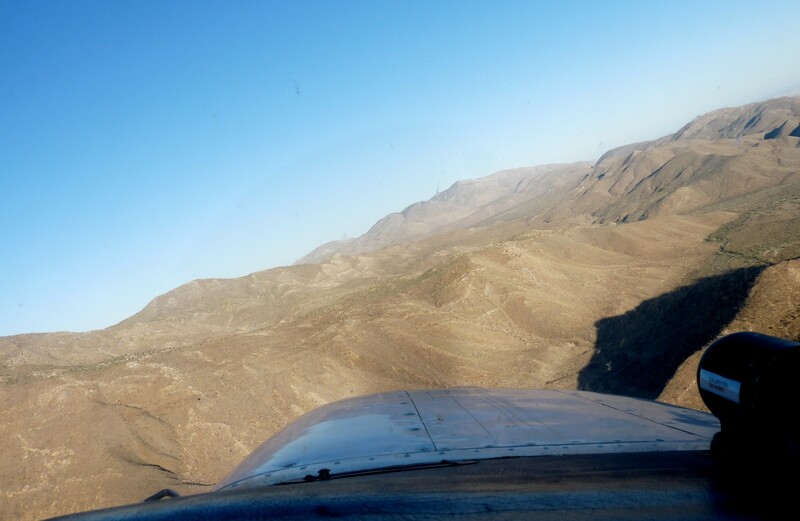 As the afternoon drew on, I said goodbye to my kind hosts and took to the air once again, flying back across the hills to Agua Caliente. It did after all have nearby camping, and I wanted to see what it was like! 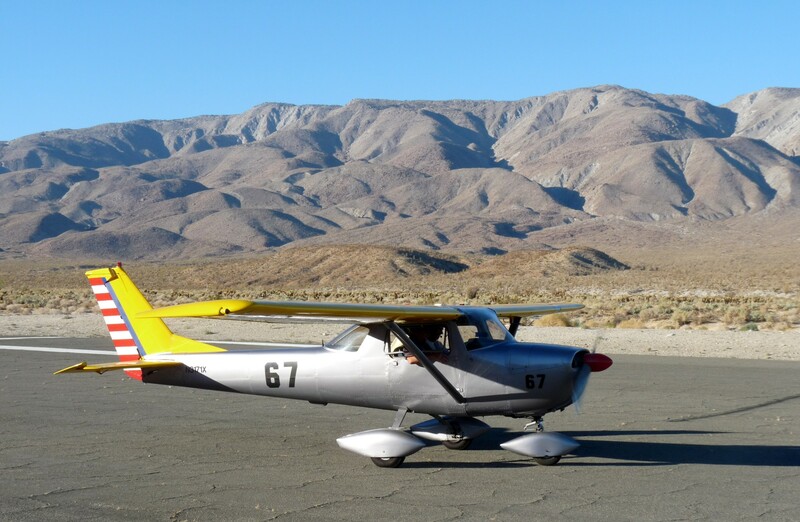 I didn’t see or hear any other airplanes and once again I made a low fly-by to check the strip condition, landed, and parked up; this time in isolation. I packed my bag with the camping gear, and set off towards the state park. It was an uphill walk, and my bag was certainly not suited to carrying a lot of gear for any real distance over a rough trail, but I persevered and after a while made my way into the camping area by a back route. 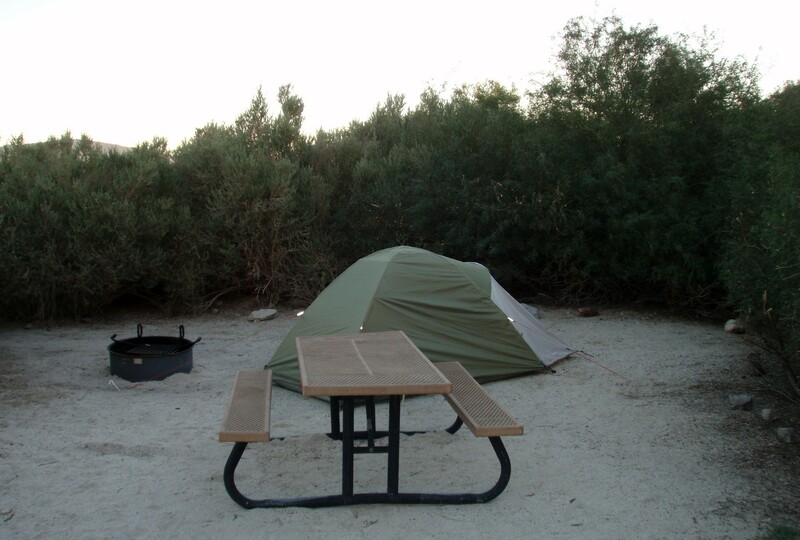 Being out of season, and a weekday, there were not many campers around. Those who were there were almost exclusively retirees travelling in RVs or caravans so I had the tent area to myself. I left my gear at my chosen pitch, confident that not many opportunist thieves would be passing by, and made my way to the ranger station. 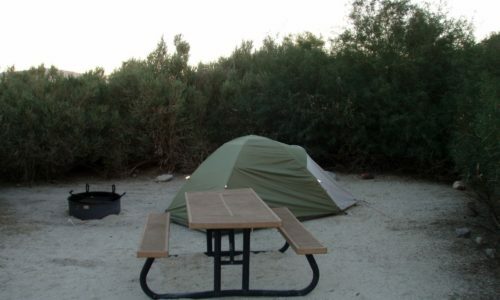 In the USA, even when parks are unmanned you can usually just leave your fee in an envelope and choose a site, without any hassle; fees are generally low as well, especially for tents. I returned to the pitch and set up my new tent; an easy job given that it was almost identical to the old one! There wasn’t much to do at the park except relax, make a light dinner and read before an early night.